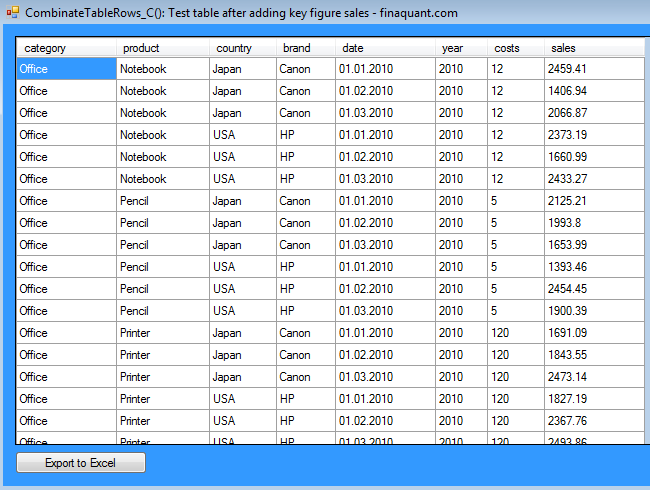 CombinateTableRows()1 is a table function in finaquant® protos (free .net library) which can be used for generating test tables including any number of dependent and independent attributes. This table function creates test tables by combinating (i.e. cartesian multiplication) the rows of any number of input tables, provided that these tables have no common fields. CombinateTableRows() is the more general and mightier alternative to CombinateFieldValues_B() which was introduced in the previous related article. With CombinateTableRows() it is possible to create test tables with dependent as well as independent fields. 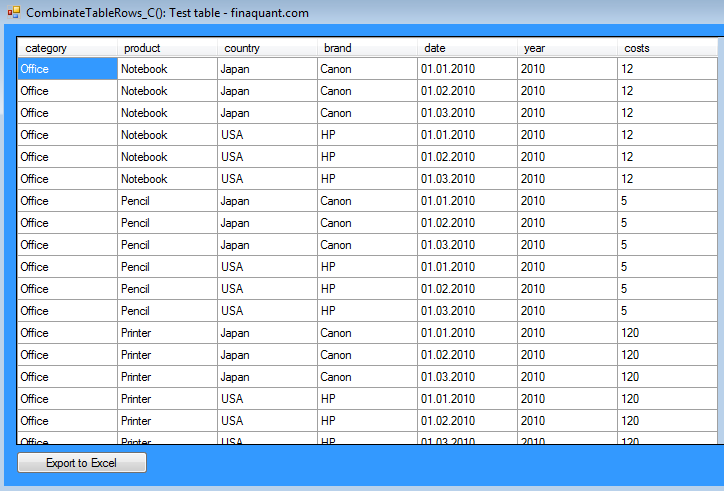 Following example shows how a test table with 8 fields can be generated with dependent attribute pairs category-product, country-brand and date-year. If desired, random-valued key figures can be added to test table subsequently. This entry was posted in Calculation engine and tagged table functions, test data. Bookmark the permalink.